We are well into the football season and while many fans may be cheering for the football players are you enjoying the half-time show? Here are some tips to keeping your musical star looking great. Band uniforms are very expensive and generally require professional cleaning. They are usually wool or a wool/synthetic blend, and are susceptible to damage from perspiration and rubbing under the armpits during marching. Wearing a t-shirt underneath helps absorb some of the perspiration. 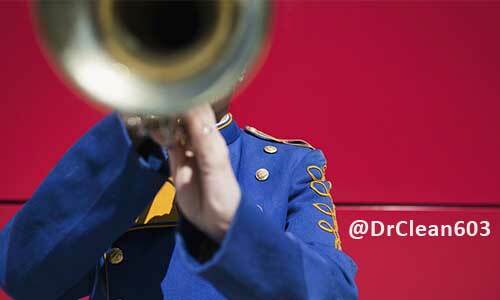 Other common band uniform stains are ink, food, sugar drinks, grass, and mud—which shouldn’t be terribly surprising considering all the pep rallies and football games band members must attend. The uniforms should be cleaned as soon as possible after each use (usually between football games) in order to prevent any stains from setting and to avoid attracting insects, which especially prey on wool fibers. No matter what, follow the care label and remember that we’re here to help with difficult stains or any items that need professional attention. 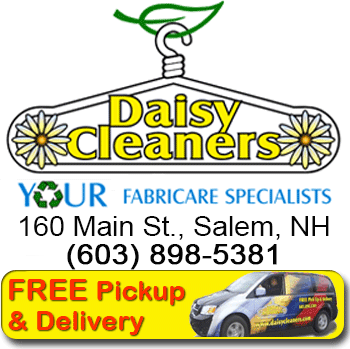 To protect your favorite clothes, add them to your Daisy dry cleaning bag & we’ll pick them up for you! 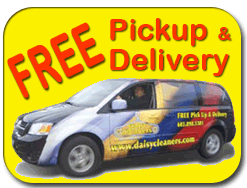 Sign up for free pickup & delivery today!